Front Porch Realty - Quarterly snapshot shows Triangle shortage! Quarterly snapshot shows Triangle shortage! Here is Front Porch Realty’s quarterly local real estate market snapshot. Mortgage interest rates and Triangle demographics are still causing a major shortage of homes in the Triangle as well as our end of the county. 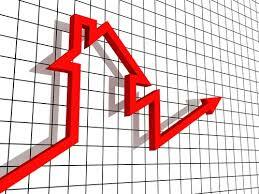 Sales prices are up a healthy 6-7 % across the Triangle with our average sales price about $300,000 and average days on market 36 days. We are still experiencing frustrated buyers in the under $300,000 price range at our end of the county with days on market being reported in hours, not days. Here’s another view of the market in Durham, Johnston, Orange and Wake counties from the Triangle MLS. As you can see from our numbers, if you are considering selling your home and believe it would fall below that $300,000 price point, now would be a great time to sell! Give us a call today! FRONT PORCH REALTY continues to grow and provide the existing residents of Fuquay-Varina, Holly Springs and our bordering counties as well as the new residents looking to make our area home, a strong professional sales team. Please watch our Facebook and website for all of the housing news around town and to see our new listings as they hit the market.